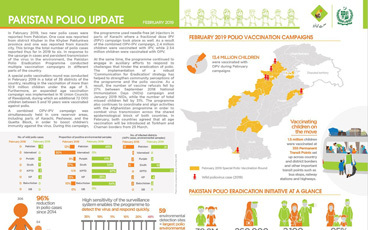 There were two new wild poliovirus cases reported. 1.6 million children were vaccinated in October 2018 at 402 Permanent Transit Points (PTPs). 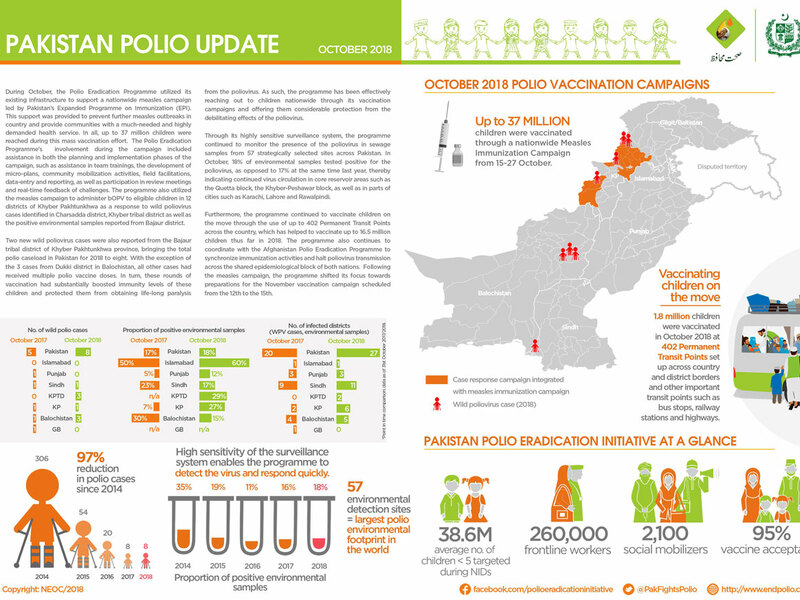 Up to 37 million children were vaccinated through a nationwide Measles Immunization Campaign from 15-27 October.